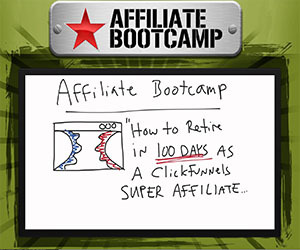 I’ve been an affiliate marketer since 2004. 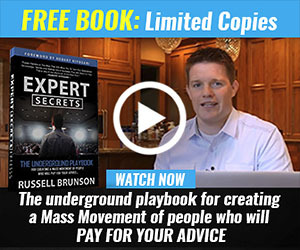 I’m a full-time internet marketer these days and have created probably over 100 blogs in the time that I’ve worked online. I still love what I do and I’ve now been in this business for longer than I was a professional programmer. I am not super wealthy but I live a comfortable lifestyle on my own terms. That’s what I call freedom. Can't write effective emails? Have one the best email marketers write and post your emails for you. The money I earn isn’t an end in itself, it’s a means to an end: giving me freedom of time, something I didn’t have much of as a programmer. Back in 2004, I was running my software contracting business where I leased out my services as a programmer/software consultant. I’d been doing that kind of work for 10 years after graduating from university. Over that time, I worked for IBM, several banks, the European Space Agency and the European Commission among other companies and institutions. I also developed the original software system for or tracking young offenders in the UK for the then Youth Justice Board . I’ve worked for Banks, IBM, the European Space Agency, the European Commission among others and developed the original system for the Youth Justice Board for tracking young offenders in the UK. Being self-employed, I had been able to negotiate contracts where I was paid very well, worked a 4-day week and could take 6-8 weeks vacation time a year. But two things had become unbearable – the long commutes to and from clients’ offices and dealing with office politics and BS with an agency company and some of my clients. I decided to take a year out, gather my thoughts and figure out what to do next. Having that early success in selling my software led me to the wonderful world of affiliate marketing. So in 2004, with all that free time, I started playing around with that business model. I achieved enough success with it that I never went back to being a full-time programmer. Today I work from home. My worst commute is tripping over the cat on the way from the bedroom to my home office! I start and finish work when I want. I take days off when I want too. While the money earned is nice, what’s more important to me is the time freedom. I lead life on my terms, not according to someone else’s whims (a boss, for example). That in return reduced my overall levels of stress, my blood pressure dropped and so my health benefited. This wasn’t my original plan. But it’s what came out of that year off in 2004. I was there for the dawn of Google Adwords. Things were much simpler back then. 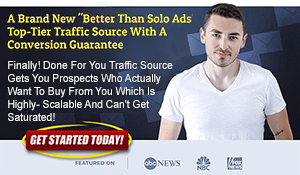 You could stick your affiliate link in an ad and easily drive traffic to it. Over time Google tightened the rules on Adwords ads and the kind of links you could use in them. Bid prices on keywords also started to rise. And then advertisers started to get hit by the Google Slap – one day a keyword might cost $0.20, then next it was $5.00! I turned off all my ad campaigns and stopped using Adwords. Ironically, several years later, Google terminated my account for violating their terms and conditions! This was when the account had been dormant for so many years. But by that time, Google had retreated behind their Great Wall and wouldn’t deign to communicate with advertisers anymore. Back in the mid-2000s, the internet was something of a wild west. I played around with Autosurfing sites where members visited websites for cash. 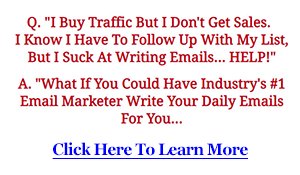 If you got into one of these Autosurfing sites early, you could make money with them. Most disappeared after a few weeks leaving members out-of-pocket. Another dodgy thing I tried was investing in High Yield Investment Properties (HYIPs). These, like the Autosurf sites, were Ponzi schemes (though i wasn’t familiar with such at the time!). If you got in and out early, you could get a good profit. Leave it any longer, and you kissed your money goodbye. Then had the bright idea of playing poker online for a while. I had a good winning streak and then started to lose too frequently. So I stopped playing before I’d lost all the money I’d won. The thing about all these (questionable?) schemes, is that they were fun. I knew I stood a chance of losing money in them (as you should if you gamble at all) but I had a blast with them while they lasted. 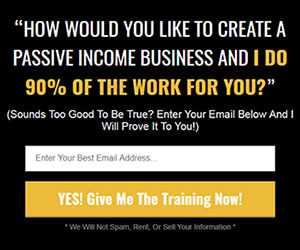 The following year, it was time to get serious about generating an income for myself. I’d created my first website in 1995 (for the Visicon Star Trek convention of all things, here in Ireland). In 2005, I created my first business site – the Home Based Business Directory. I’ve owned the domain since then but the site has been re-branded and re-imagined several times over the years. Today it’s known as Internet Marketing Strategies. I talk about my experience in affiliate marketing there and review various internet marketing products. While my LunarPhase Pro astronomy software continued to sell during my time-off period, I went back to software writing and created Clickbank Elite (no longer available), a desktop application that made it easy to find hot products on Clickbank to promote. The site I created with SBI was Great Landscape Photography (which as been rebuilt as a WordPress blog in the meantime). SBI sites are not cheap at US$299 per year per site, but my site pulled in 5-8 times that each year, most of that in Adsense revenue. SBI’s way of doing things wasn’t for me so I didn’t build anymore sites with them but they are a great option for a newbie. I tried Multi Level Marketing (MLM) for a while but just couldn’t make it work no matter how hard I tried. The sign-up rate was pathetically small so I figured that way of doing business was very over-hyped or I was simply really bad at it. Anyone who knows me knows I like cats. They’re good companion animals and don’t need a lot of looking after like a dog. While I love dogs too (and had a few during my childhood), I like the independent nature of a cat. So I created a cat website to inform about cat care and health. In late 2006, I did a bit of caretaking while a friend was away on holiday and inherited the care of Ginger, a.k.a. RedPuss, a moth-eaten, bedraggled feline that lived on the property. His story was an interesting one. What did continue to be successful for me, I realized, was building websites and doing affiliate marketing on those websites. I was still building sites the old-fashioned way – in Notepad! I never took to the site builders like Frontpage or Dreamweaver because they seemed to introduce tons of unwanted style definitions and other unnecessary code that bloated the actual web page code. Notepad gave me complete control over exactly what went onto a web page. But building sites with it was slow and each page on a site had to be manually crafted. That’s when I came up with the idea for SiteBuilder Elite (no longer available) – a web-based application for affiliate marketers that created multi-page websites quickly and easily and allowed site-wide changes to be implemented, pretty much at the click of a button. Since 2007, the software underwent three major revisions and I used it to build all my non-blog sites. The software could be set to post pages at future dates, featured dynamic content like RSS content, YouTube and Yahoo answers on pages, could download articles from article directories and had support for Adsense, Amazon and Chitika built in (other ad networks can be used if needed). It did what I wanted a site builder to do without all the bloat introduced by other builders. In latter years, I’ve been working exclusively with WordPress. I experimented with autoblogs for a while – blogs with a number of future dated posts scheduled to been published over the coming days or weeks. Thanks to bugs in WordPress 2.9.x at the time, posts that should have been published went into a “Missed Schedule” status, so they didn’t get published. That, and some other issues, plus Google getting wise to autoblogs, put paid to the idea of using them. One thing I learned early on in my WordPress career was just how easy it was for a hacker to break into a WordPress site and deface it or hijack it. I spent far too much time repairing hacked blogs only to have them hacked yet again. That’s when I became a WordPress security expert. These days I bring that expertise to the table by building SEO, secure blogs for myself and clients – affiliate marketers and small business owners – over at Top Design Blogs. While I might be tempting fate saying this, none of the blogs I have built have been hacked since I learned how to secure blogs with the tools I now use. 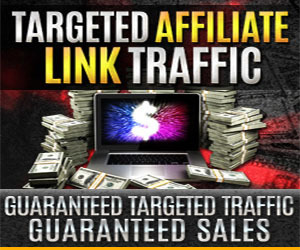 The affiliate marketing model I followed involved getting sales through affiliate links on my websites. However, once a customer had bought something, they were gone and I couldn’t market to them again, unless they were regular visitors to my sites. 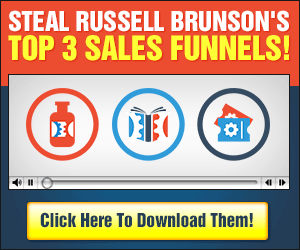 I knew about list building but for the longest time it wasn’t part of my business. It seemed to require a lot of time to set up your email series. Then you had to create opt-in forms to get leads. And you also needed to subscribe to autoresponder that would deliver your emails to those leads. And you had to promote your opt-in pages just like any other web page or website. 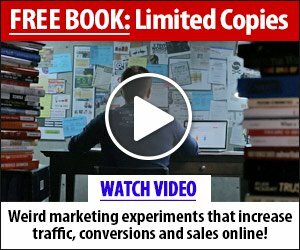 What I didn’t realize, until it was pointed out to me, was that email marketing – sending emails to those people who subscribe to your mailing lists – was the most profitable way of making money with affiliate marketing. And, guess what, it still is today. 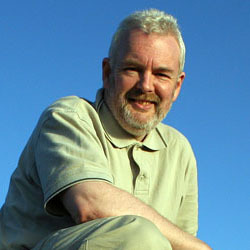 Here I am 14 years after I started my affiliate marketing adventure. Most businesses don’t last a year. Many more fold before 5 years has passed, let alone 10 years. Yet here I am, almost 15 years after starting out, still making a full-time living online. Two things I’ve learned in my time in this business are focus and persistence. It’s very easy to become distracted by shiny object syndrome and before you know it you’ve gone of in a totally different direction than you planned. You end up trying so many things that none even get enough attention and then you wonder why you’re not succeeding. So focusing on one thing until you master it is one of the keys to success. Not everyone’s going to get a home-run on their first try. I didn’t. That’s where persistence comes in. It’s OK to fail. We learn from our failures, not our successes. But if you give up after one or more failures, you’ll never succeed. You have to keep plugging away. Learning as you go and getting closer to your goal. 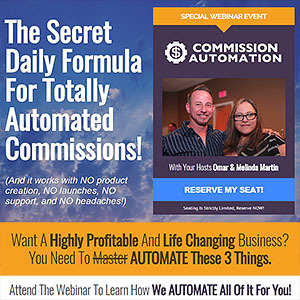 There’s a lot of information about List Building out there. Much of it is outdated. Much of it no longer works because the internet has moved on and people have become much more sophisticated in their browsing habits. 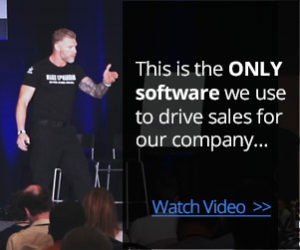 My goal with this site is to provide you with up-to-date information about List Building and Email Marketing and how to drive traffic to your opt-in and squeeze pages. Expect some opinionated content because if I find a product or service is not up to scratch, I won’t be shy about pointing out deficiencies. Join the journey with me. Ask me for help or advice, I’d like this to be an interactive site that any visitor can get useful information from. Offer your own opinions and comments. And follow me so you can bet alerted to the latest site updates. 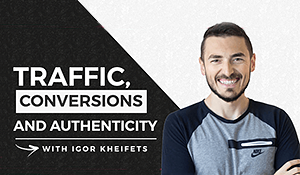 Thanks for stopping by Email List Building Techniques and following my story. Your story can be just as incredible and exciting with a little hard work and dedication. 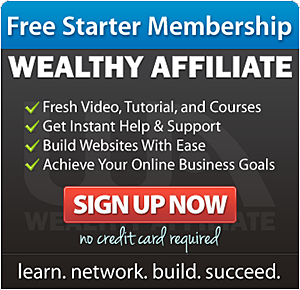 My Wealthy Affiliate Review – Is This The Best Affiliate Marketing Course?